Tiarella 'Jade Peacock'. 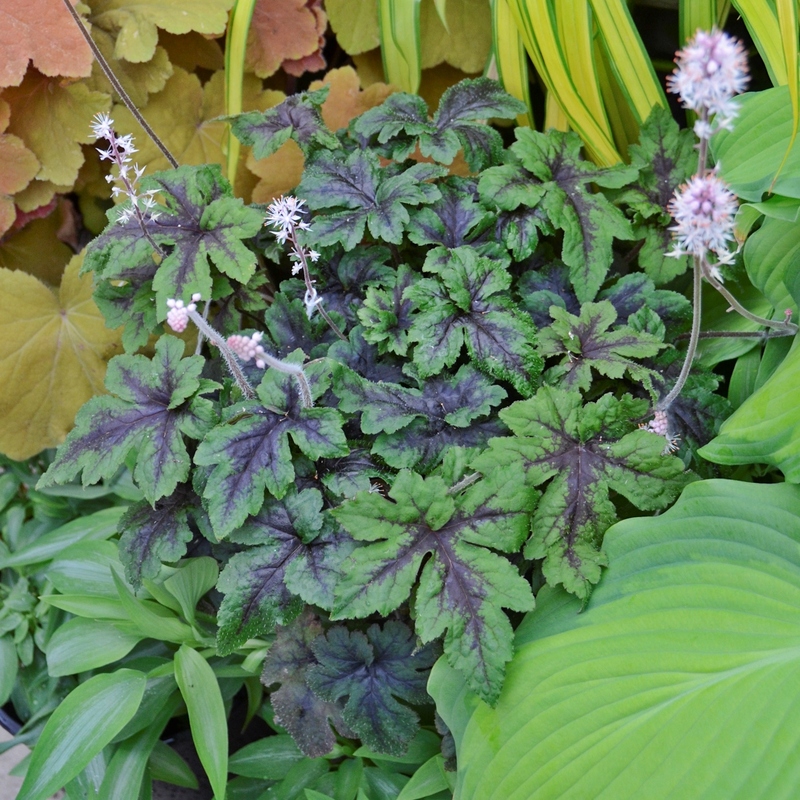 This beautiful woodland perennial provides year round interest with its evergreen, feathery patterned foliage. In spring, the new foliage emerges bright yellowish green with a prominent, deep red center, maturing to jade green with a deep purple center in summer. In winter, the evergreen foliage turns deep mahogany purple with a black center. From early spring into early summer depending on the climate, spikes of light pink buds appear above the foliage, bursting open into creamy white, lightly fragrant, star-like blossoms. The flowers are spaced closely together on the stems, creating greater visual impact. PPAF.